Microsoft Windows 10 Redstone 2 PC build 14951.1000 and Mobile build 10.0.14951.1000 is now available to fast ring insiders. Previously, the company released Windows 10 mobile build 10.0.14946 for fast ring insiders. Check out what Microsoft fixed in this build. Fixed the issue causing PCs that are capable of Connected Standby such as the Surface Book and Surface Pro 4 to sometimes bugcheck (bluescreen) while in Connected Standby. fixed an issue resulting in Forza Horizon 3, Gears of War (and some 3rd party games) failing to install from the Store with the error code 0x80073cf9 when the system’s app install location was set to drive with native 4k Sectors (or 4k sector sized drive). We fixed an issue resulting in larger Store games such as ReCore, Gears of War 4, Forza Horizon 3, Killer Instinct and Rise of the Tomb Raider possibly failing to launch. fixed an issue where the console window (which hosts Command Prompt, PowerShell, and other command-line utilities) might not snap correctly to the inside edges between two monitors with different DPI scaling. fixed an issue where all agenda items in the taskbar’s Clock and Calendar flyout were using the primary calendar’s color, rather than matching their respective calendar’s colors as selected in the Outlook Calendar app. fixed issue where the Add PIN button in Settings > Accounts > Sign-in Options was sometimes unexpectedly greyed out for domain-joined devices. fixed an issue resulting in Groove crashing if you tried to reorder the songs in a very large playlist. Updated our migration logic to now include custom scan code mappings. That means that going forward from this build, if you’ve used Registry Editor to remap certain keys (for example, Caps Lock key to null), that change will persist across upgrades. fixed an issue Insiders may have experienced resulting in Adobe Photoshop Express crashing after clicking on the ‘correct’ button when trying to edit a cropped image. fixed an issue resulting in .csv or .xlsx files downloaded from Microsoft Edge sometimes unexpectedly appearing to be locked for editing by “another user” when SmartScreen was enabled. fixed an issue where enabling the RemoteFX adaptor for a Virtual Machine would result in it failing to power on with the error ‘Unspecified error’ (0x80004005). Following feedback discussing French punctuation rules, we’ve updated our French keyboards (with the exception of French (Canada), for which these rules don’t apply) to now add a space both before and after when using two-part punctuation marks, such as the semi-colon, the colon, the question mark and the exclamation mark. We fixed an issue resulting in the Camera shutter sounds entry missing from the Sounds Settings page via Settings > Personalization > Sounds. The company also warned insider members that initial Redstone 2 builds will be more buggy than usual. 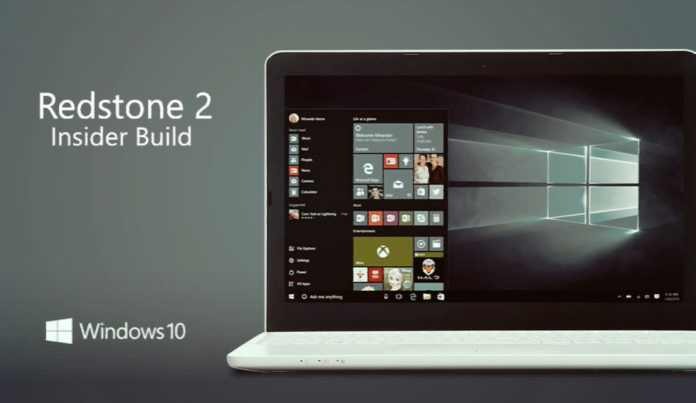 Microsoft next major updates Redstone 2 and Redstone 3 are coming in 2017.